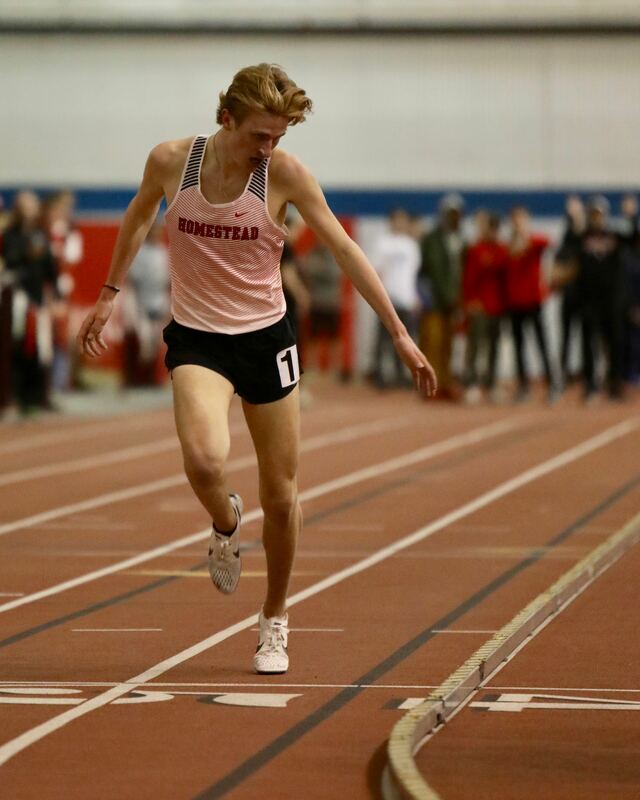 Drew Bosley broke the 43 year old record in the 1600M run with an absolutely dazzling effort. The minute the gun went off everyone said he’s going for the record as he and Caleb Easton from Middleton went through the 400M in 58 seconds. Easton hung on bravely but was not up to the incredible early season pace that Bosley was setting. Wow. What will we see in June. Sub 4 and a new state 1600M record. I think running 4:09 on this stiffer surface is tremendous. Solinsky ran a time very similar to this at TFA when it was still held in Madison and later went 4:05.24 at state, 4:03y at nationals. 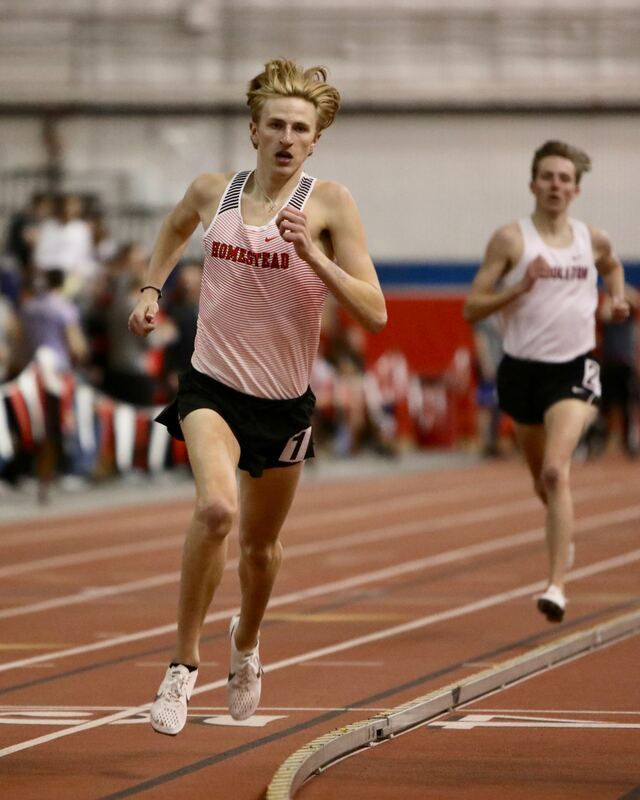 Bosley is going to need one of these guys in the group to hang close enough for him to maintain the distance up front to go sub-4 in a high school race at La Crosse. Perhaps that was the element Jennings was missing in 1997? Didn’t Jennings triple in 97 and ran a 1;51 split in the 4x8 which probably cost him his sub 4? I keep forgetting about that anchor leg because it wasnt explicitly documented that he was in the relay. But I have certainly heard of that feat many of times. Your opinion would be more valid than mine because your were there and primed to critique distance runners, not me. He really sacrificed himself for his teammates as they were good but not great 800M runners. I think they might have just made the podium and he made up massive ground on several other teams ahead of them at the time. I really hope that Bosley doesn’t triple and goes into the record books on either the 1600 or 32l00M. I feel the 3200 is a softer record than the 1600 but time will tell.